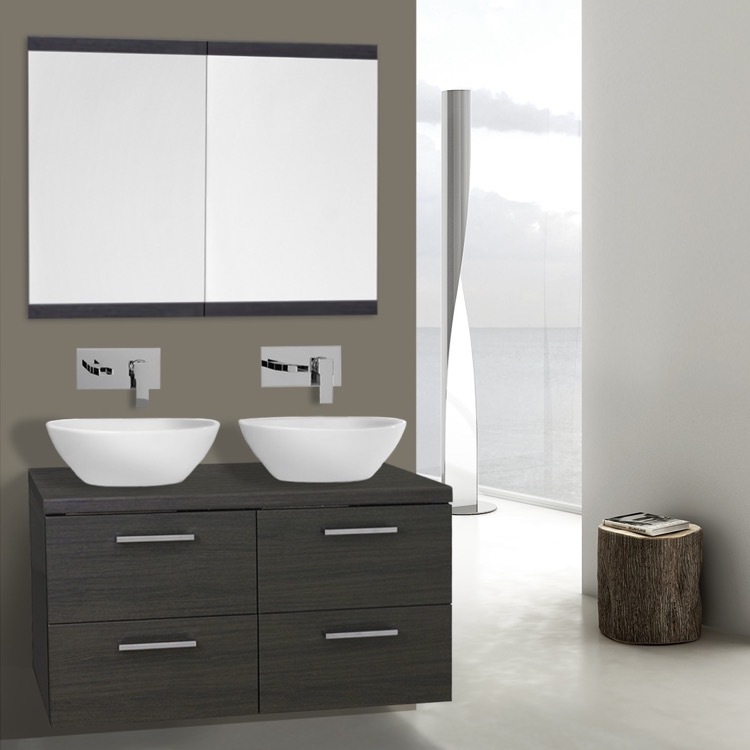 Double cabinet(s), basin(s) and mirror(s) in contemporary styling and made in Italy to work hard for years. This is the set for the modern, busy master powder room. Choose among Glossy White, Wenge and Gray Oak finishes, all waterproof and beautiful. Oval raised white ceramic basin(s) sit atop double drawer cabinet(s), made with a soft close system for long life. Dual framed mirror(s) have five layer construction and easily resist scratches and corrosion. 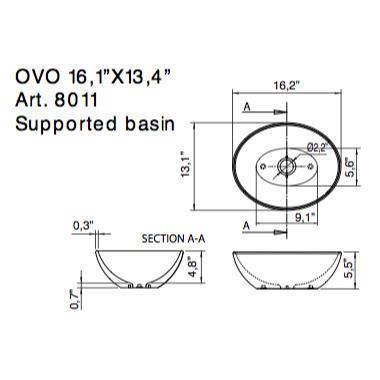 Basin Depth: 4.8" Basin Width: 13.1" Basin Length: 15.6"
Overall Width: 18.6" Overall Depth: 18.9" Overall Height: 18.9"